Evan Rodrigues: Forward for Boston University in the NCAA League. Ryan Murphy: Defence for the Kitchener Rangers in the Ontario Hockey League. Michael Curtis: Left wing for the Belleville Bulls in the Ontario Hockey League. Dylan Smoskowitz: Center for the Mississauga Steelheads in the Ontario Hockey League. Andy Bathgate: Center for the Plymouth Whalers in the Ontario Hockey League. Sam Carrick: Forward for the Idaho Steelheads in the ECHL. Emerson Clark: Left Wing for the Windsor Spitfires in the Ontario Hockey League. Peter Holland: Center for the Anaheim Ducks in the National Hockey League. Braden Mann: Goalie for the Milton Icehawks in the Ontario Junior Hockey League. Steven Mueller: Forward for the Burlington Cougars in the Ontario Junior Hockey League. Matthew Petgrave: Defence for the Oshawa Generals in the Ontario Hockey League. Steven Shipley: Center for the Niagara IceDogs in the Ontario Hockey League. Marc Zanetti: Defence for Düsseldorfer EG in the Deutsche Eishockey Liga (Europe). Frank Corrado: Defense for the Kitchener Rangers in the Ontario Hockey League. 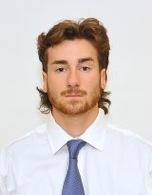 Daniel Erlich: Left Wing for the University of Western Ontario. Matt Finn: Defense for the Guelph Storm in the Ontario Hockey League. Connor Brown: Right Wing for Erie Otters in the Ontario Hockey League. Samuel Hodhod: Centre for the Armada in the Quebec Major Junior Hockey League. Kyle Platzer: Right Wing for the London Knights in the Ontario Hockey League. Kevin Czuczman: Defense for Lake Superior State Ice Hockey in the NCAA Hockey League. Massimo Lamacchia: Forward for Brown University in the NCAA League. Steven Strong: Defence for the Saginaw Spirit of the Ontario Hockey League. Daniel Catenacci: Center for Owen Sound Attack in the Ontario Hockey League. Domenic Alberga: Center for the Kitchener Rangers in the Ontario Hockey League. Jesse Blacker: Defence for the Toronto Marlies in the American Hockey League. Calvin Higley: Forward for Newmarket in the Ontario Junior Hockey League. Julian Melchiori: Defence for the St. John Icecaps in the American Hockey League. Robbie Murden: Forward for the Georgetown Raiders in the Ontario Junior Hockey League. Ryan O’Connor: Defence for the Barrie Colts in the Ontario Hockey League. Scott Mackenzie: Defence for Trenton Golden Hawks in the Ontario Junior Hockey League. Ethan Werek: Center for the Portland Pirates in the American Hockey League. Tyler Randell: Right Wing for the Providence Bruins in the American Hockey League. Nathan Chiarlitti: Defense for the Owen Sound Attack in the Ontario Hockey League. Scott Laughton: Centre for the Oshawa Generals in the Ontario Hockey League. Brock McGinn: Left Wing for the Guelph Storm in the Ontario Hockey League. Dante Salituro: Centre for the Ottawa 67’s in the Ontario Hockey League. Ryan O’Connor: Defense for the Barrie Colts in the Ontario Hockey League. Terry Trafford: Centre for the Saginaw Spirit in the Ontario Hockey League.